This is the 3rd time I had lunch at this restaurant part of the Crystal Jade group, located in the new Changi Terminal 3. As the name suggests, their menu brings some of the Shanghai flavours to Singapore. 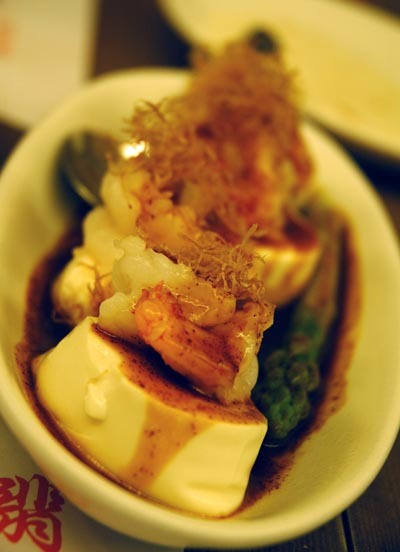 The Steamed Beancurd with Prawn and Shrimp Roe ($16.80) didn't taste as good as it looked. It was slightly under salted and I just felt that there was nothing there to bind the flavours together. The Poached Noodles with scallion and dried shrimps ($7) were quite special. These noodles are very simple, but tasty and delicate. 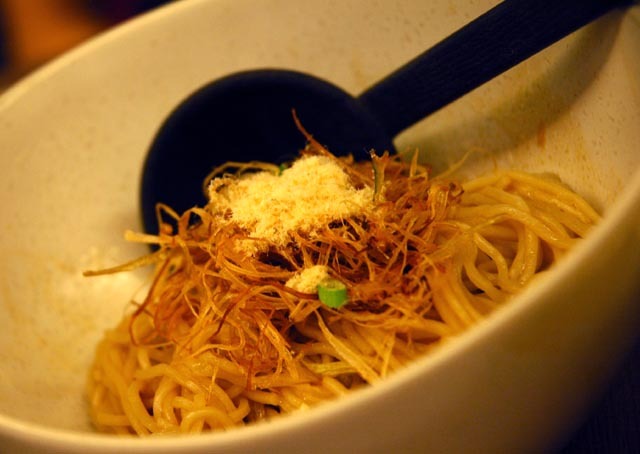 Making a parallel with Italian food, they make me think of "spaghetti alla bottarga" for their subtle fishy flavour. 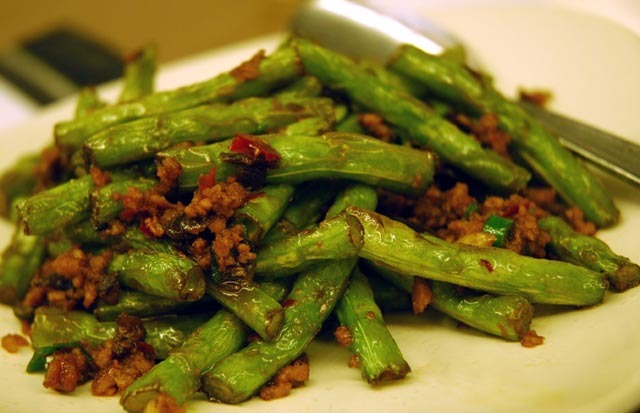 Although they are not a Shanghai speciality, I ordered the Long Beans with minced pork ($12) only to complement the meal with some vegetables. These were well prepared and tasty as I would have expected. I was particularly interested in the Sauteed Diced Chicken with Diced Asparagus in Spicy Sauce (served with pancake) ($14 ) because of the way it's served. 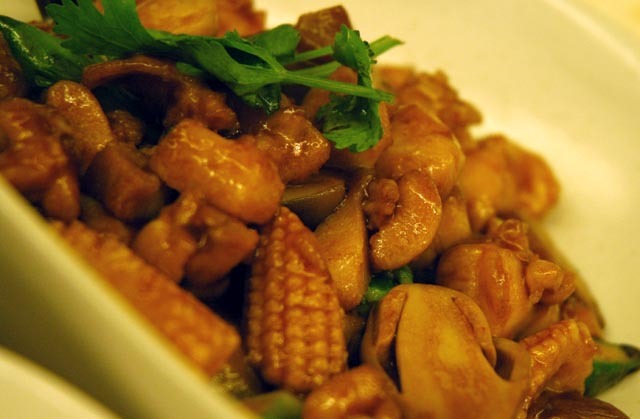 The dish is a fairly normal stir fried chicken with corn and mushroom, with a subtle smoky flavour. Very tasty on its own. This is served with some thin pancakes that look like mini-tortillas, comparable to the ones used for Beijing duck. I felt like I was eating a Chinese version of Mexican fajitas, and a healthier one too. The total bill was $71.30 for 2 people, including drinks, peanuts and towels. Overall, this restaurant serves some interesting, well priced food and you wouldn't regret trying it. Obviously the atmosphere isn't the coziest due to its location, in the middle of the terminal, but it is quite relaxing due to the spacious and quiet surroundings.